Developed to replace the Ki-10. The prototype first flew in October 1936. Saw combat in China, during the Battle of Khalkhyn Gol, and in the initial period of the Pacific War. A total of about 3,400 aircraft were built. 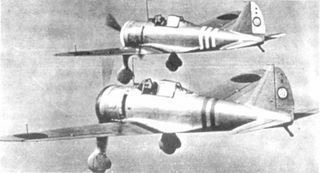 The Nakajima Ki-27 (九七式戦闘機 Kyūnana-shiki sentōki, or Type 97 Fighter?) 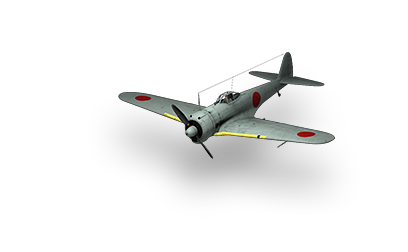 was the main fighter aircraft used by the Imperial Japanese Army Air Force up until 1940. Its Allied nickname was "Nate", although it was called "Abdul" in the "China Burma India" (CBI) theater by many post war sources; Allied Intelligence had reserved that name for the nonexistent Mitsubishi Navy Type 97 fighter, expected to be the successor to the Type 96 carrier-borne A5M with retractable landing gear and an enclosed cockpit. 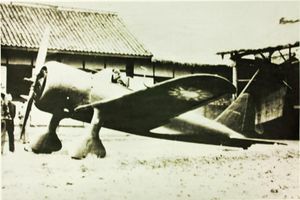 Nakajima Ki-27 of the Akeno Army Flying School, ca. winter 1941/42 (see Bueschel 1970). 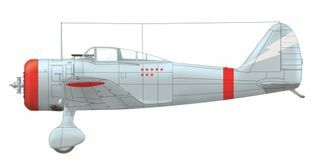 A Ki-27 as used in the Battle of Khalkhin Gol. This page was last modified on 29 September 2016, at 23:57.